Much has been said about the wonderful social deduction game The Resistance: Avalon. Here, I have decided to provide some anecdotal evidence of the game’s success before commencing with a short review. For better or for worse, the few words I have to say in way of evaluation fall closer to the category of ode than review, as my fondness for the game transcends the usual measure of board game acclaim. My first experience with Avalon was a happy disaster. A dauntingly large group at the local game store invited my friend and me to join a round. We happily agreed, having read about similar games. What we didn’t know was that Avalon is a game with a modular structure, which allows a group to adjust the complexity of a round of play to suit their needs. One may add characters with specific abilities, use action cards and implement various game rending side powers. For this particular round, the veterans of the game misguidedly decided to include not only the game’s upper limit of ten players, but also the full pantheon of the Arthurian court. As my friend and I remained stuck in the bare preliminaries of the game—such as how, when and why you should vote—Merlin, Morgana and Mordred were free to traipse blithely about, wielding game-shattering powers we couldn’t hope to fathom. And we weren’t alone in our amateurism; it soon became clear that over half of our playgroup was new to the game, which, I have come to learn, makes the game exponentially harder: This game relies entirely on the player’s ability to read the patterns of the proceedings and the tells of their colleagues. Hence, when half the players have no idea which tells to hide, what information to convey, or how to convey that information, confusion reigns. And reign it did. Loyal servants of Arthur took it upon themselves to claim they were evil. Players subverted the purity of democracy by voting randomly. Newbie henchmen forgot to sabotage the very quests their battle-hardened cohorts had spent so much time contriving to get them on. It was messy. The ending was brutal. We were hooked. Unfortunately, the large requisite number of players kept me from playing the game for a while after that. The second time, however, was the session that cemented the game forever as a staple within my play group. We were on a brief coastal retreat, and I had brought the game along in the hopes that I could muster the seven troops at my disposal to crack open the fortress of strategy. The group was skeptical: the sight of the dashing maiden on the cover became a running joke, my cabin mates refusing to believe that a game themed around the round table could be any fun at all. We played a total of seven rounds, putting off sleep until well past 3 am. This experience wasn’t an anomaly. Avalon has led me through countless nights filled with backstabbing, team euphoria, bridges razed and rebuilt, moments of innovative strategy and hours of laughter. That’s what I love about this game. It presents the players with a set of guidelines, then leaves them to connect with the things that games are ultimately designed to connect us to: each other. As such, I am no more able to rate Avalon than I would be able to rate a dear friend. It’s like an inebriated mentor, dishing out wisdom and abuse in equal measure. 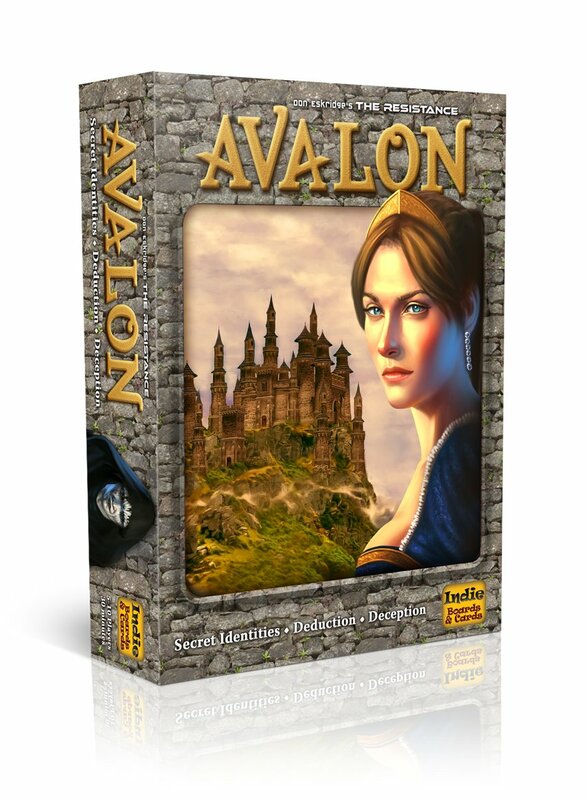 Avalon has taught me more about my friends—and myself—than any other game in my collection. And that’s why this game is perfect.